Best Sudoku Games for Android are presented here within this post. Most of these Android Games have good graphics and and very light on system resources. You can also read our post on Angry Birds Games. You can type or copy any name of the games listed in this list of Best Sudoku Games for Android? ?and search it in Android Market Place using the Search function. Andoku Sudoku : Andoku is an open source sudoku puzzle game for Android. Super Sudoku : Super Sudoku has been polished to perfection and be fun to play. Sudoku Free : 500 free Sudoku puzzles, top quality gameplay and classy graphics. Super Sudoku HD : Super Sudoku HD has been polished to perfection and be fun to play. Speedoku Lite : Speedoku ? A pressure cookin? game of speed, skill and mental dexterity. Enjoy Sudoku : Discover order in chaos with hints that teach, tutorial, 16 levels, and undo. Exercise your brain, Enjoy Sudoku. Here the list of Best Sudoku Games for Android Ends, you will find other nice games in other posts in this website. This Article Has Been Shared 2565 Times! 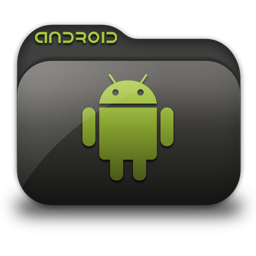 Android Apps for Benchmarking lists all the important Benchmarking Apps to have an idea about the power of CPU, RAM, Accelerometer, Battery and other hardware parts. Best Games for Android by Gameloft are presented here within this post. Most of these Android Games have 3D graphics and a nice story. Best Android Apps for Web Designing and Web Development features some practical and useful Android Apps for your Tablet to do some work while on the go. Sony Xperia S Full Review provides you the hands on experience with Sony’s jazzing Android Phone and potential rival to Apple’s iPhone. Cite this article as: Abhishek Ghosh, "Best Sudoku Games for Android," in The Customize Windows, November 26, 2011, April 21, 2019, https://thecustomizewindows.com/2011/11/best-sudoku-games-for-android/.